Open your Visual Studio IDE. 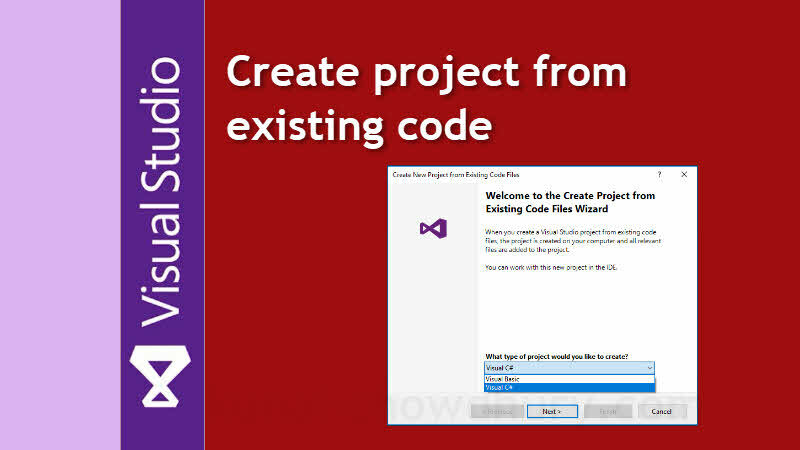 This will open the Create New Project from Existing Code Files wizard dialog on the screen. As shown below, select the type of project (Visual Basic or Visual C#) that you would like to create, and then click Next > button to continue. Once done, click the Finish button. That's all! Visual Studio will now create the project, add the nested files and folders in the project. Once done, you will be able to see the project and all its associated files in the Visual Studio Solution Explorer. I hope that the post was helpful. If you didn't try this yet, check out the quick steps. Its really very easy to create a new project from existing code. If you have come this far, it means that you liked what you are reading (Visual Studio Productivity Tips: Create a project from existing code).